Okaaspain, tienda online de mocasines de piel serraje con borlas para niños mayores. > Toddler Boy >Moccasins>Suede leather Moccasin shoes with TASSELS in seasonal colors for toddler kids. 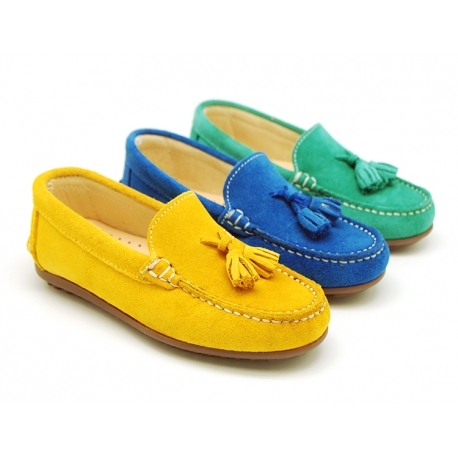 Suede leather Moccasin shoes with TASSELS in seasonal colors for toddler kids. 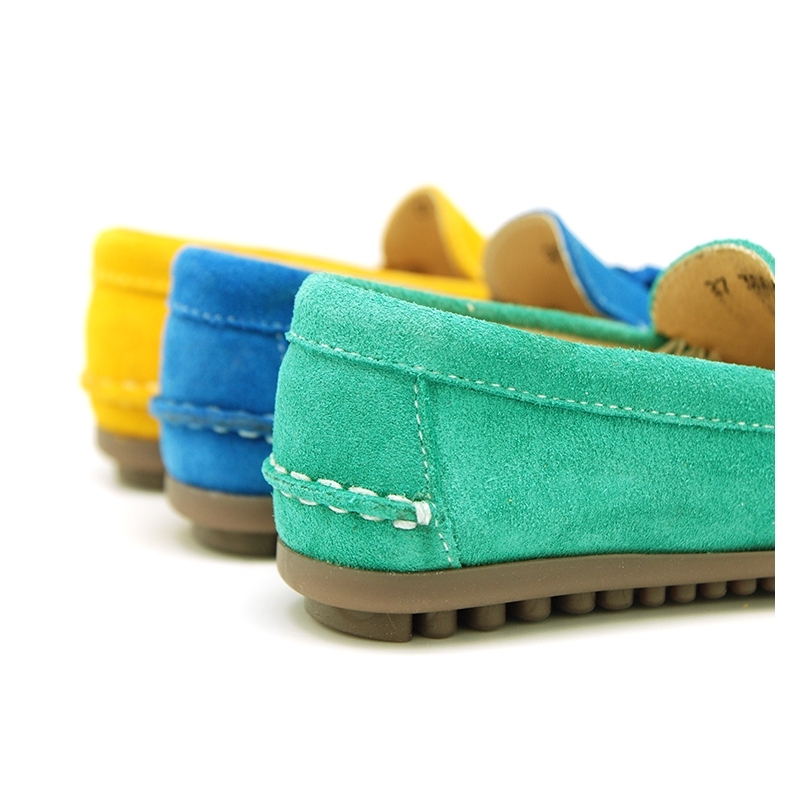 Suede leather Moccasin shoes with TASSELS in seasonal colors for toddler kids ans dads too. SIZING LARGE. 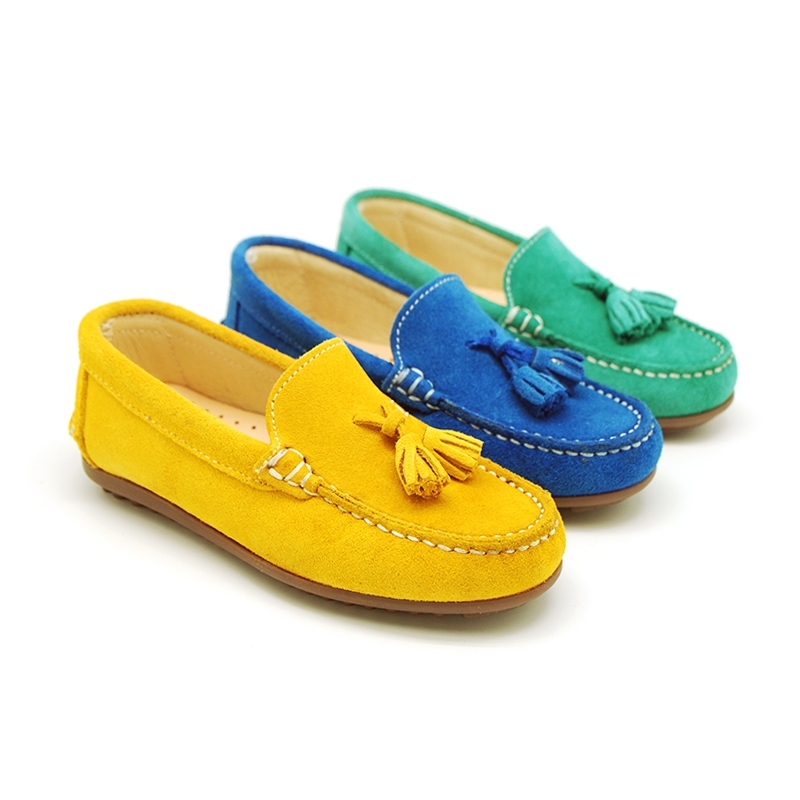 More info about Suede leather Moccasin shoes with TASSELS in seasonal colors for toddler kids. Moccasins shoes with tassels in seasonal colors for toddler kids and dads too. Made up of 100% natural high quality suede leather. Perfect for casual or smart dress this season. Very classy and combine with every fit this spring summer. Made up of the most trendy colors this season. Fully lined in leather. Perforated and padded insole in leather as well, for a good perspiration of their feet. Driver type Outsole made up of non-slip high quality rubber and totally flexible in order they can walk without problems. From 42 Euro size thicker soles for dads. Available in 3 colors. Sizes range: from 25 Euro size up to 44 Euro size. Smaller sizes, 21-24, available in first steps section, moccasin shoes department. 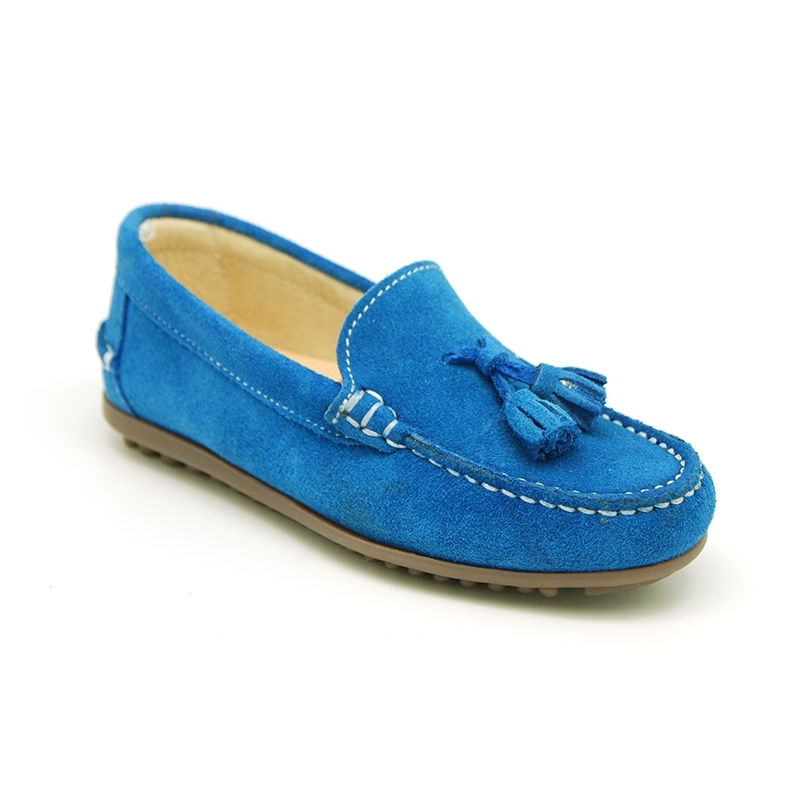 Data sheet about Suede leather Moccasin shoes with TASSELS in seasonal colors for toddler kids. 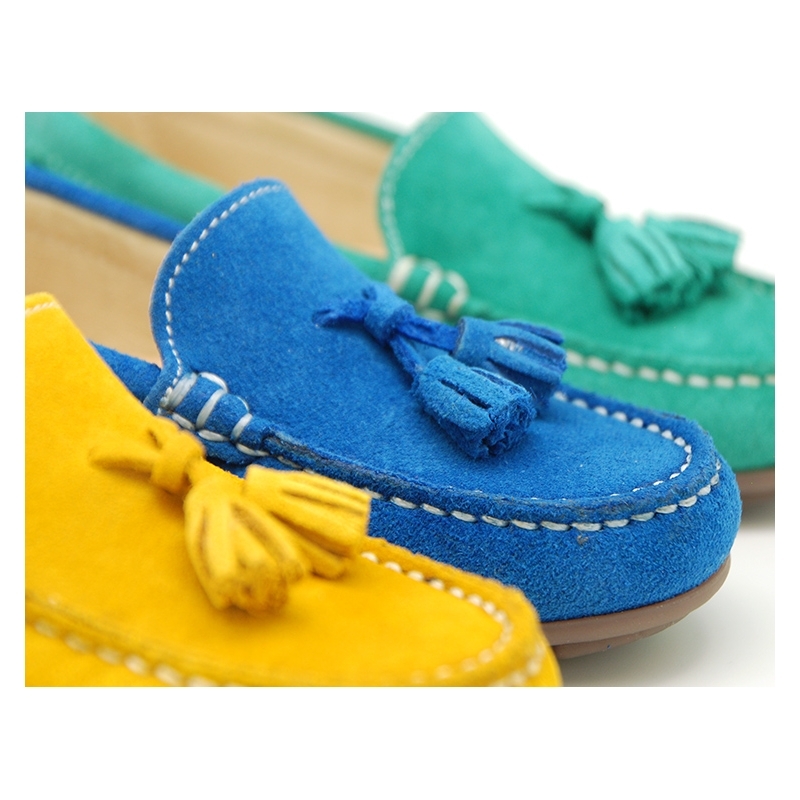 Medidas sobre Suede leather Moccasin shoes with TASSELS in seasonal colors for toddler kids.